Disclaimer: This video does not show the exact synths or settings used by Kyle Dixon and Michael Stein on the Stranger Things soundtrack. It's a look at one possible way to get in the same ballpark as the sounds heard on the show. The Netflix hit of the summer, Stranger Things, is magical in every sense of the word. The first notes of the title sequence alone give rise to a cocktail of nostalgia, mystery, surrealism and suspense before you're even sure what the story is. The soundtrack, composed by Kyle Dixon and Michael Stein of S U R V I V E, is a huge part of the show's feel and identity. There's no effort to hide the references to the scores of John Carpenter films or the work of German electronic music group Tangerine Dream, and that's part of the appeal. The tracks themselves - recorded almost entirely with synthesizers - are simple themes soaked in the classic production style of the early 1980s. We have a feeling it only took one episode before synth players at home started hunting around on the keys for the right notes and sounds. 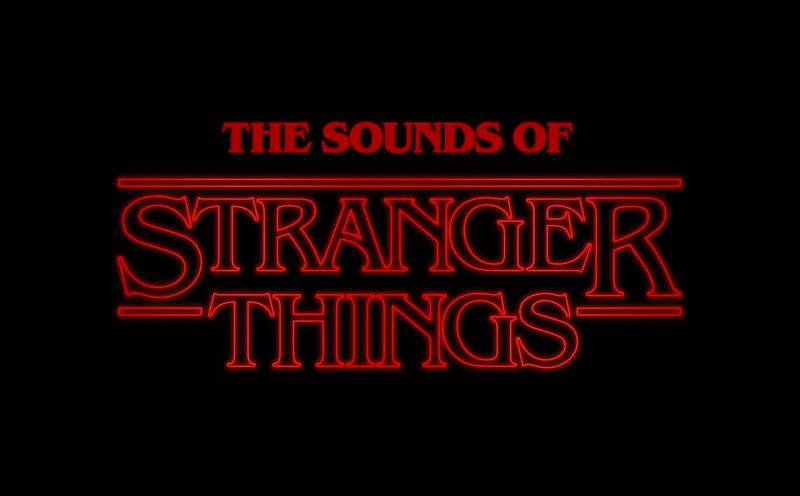 Our resident synth enthusiast, Justin Delay, decided to take a deeper look at at some of the most memorable themes heard on Stranger Things. You can create the sounds yourself with our Ableton pack below. Keep reading to learn more about the gear he used in his track-by-track interpretation. The Juno 6 is one of the most classic polysynths of all time. Its pairing of super stable Digitally Controlled Oscillators with Roland's IR3109 cascaded OTA filter design made for a flexible synth that was warm, punchy and significantly more affordable than most of its polyphonic predecessors. Even its built-in chorus effect is an absolute classic of '80s sound design. It was quickly followed by the Juno-60, which added 56 memory slots for preset patches, and the Juno-106, which altered the filter circuit but added MIDI capabilities. As the first programmable polyphonic synth in history, the Sequential Circuits Prophet 5 holds an unrivaled place in the pantheon of iconic synthesizers. It's not a mere museum piece, though. The Rev. 2 and 3 versions' shift to the now-coveted Curtis filter chip gave the Prophet 5 a brighter, cutting edge that made it stand out on countless classic tracks, from the pop hits of The Cars to the moody soundscapes of John Carpenter's film scores. Featuring an endlessly imitated triple VCO and low-pass ladder filter design paired with a built-in keyboard and portable enclosure, the Minimoog Model D changed the synthesizer landscape forever in the '70s. Over 40 years later, it is still one of the fattest sounding synths of all time. Its ease of use and fantastic sound have made it highly sought after since its inception, leading to Moog's decision to begin a limited circuit-for-circuit reissue in 2016.